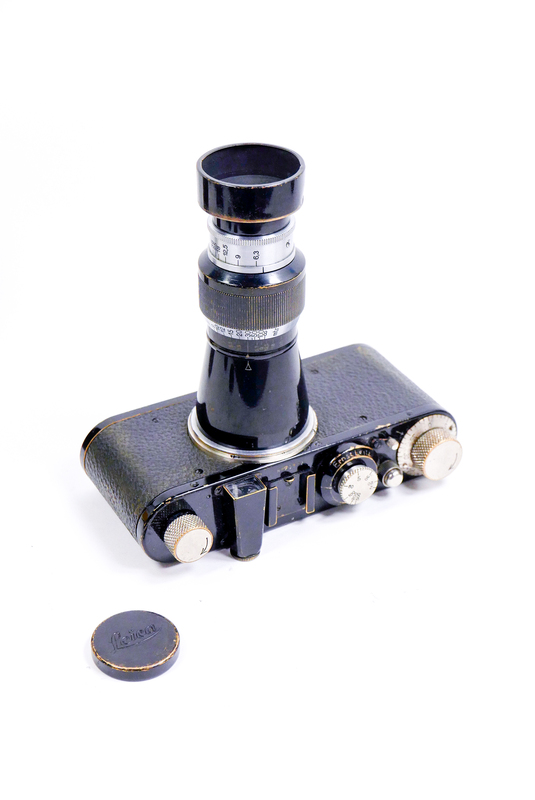 The 105mm “Berg” (or in English, “mountain”) Elmar f6,3 lens set was one of the first telephoto lenses for the Leica. 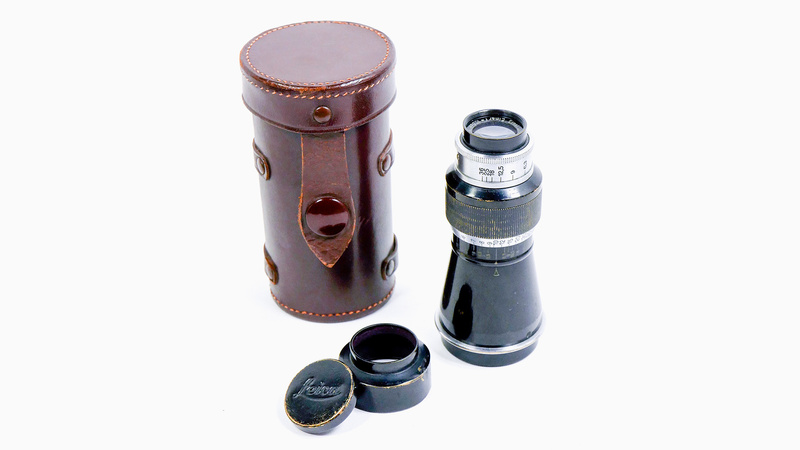 Named for its shape similar to a mountain, this little Elmar was extremely popular with outdoor photographers and remains a collectible today – especially with its original caps, shade and case. 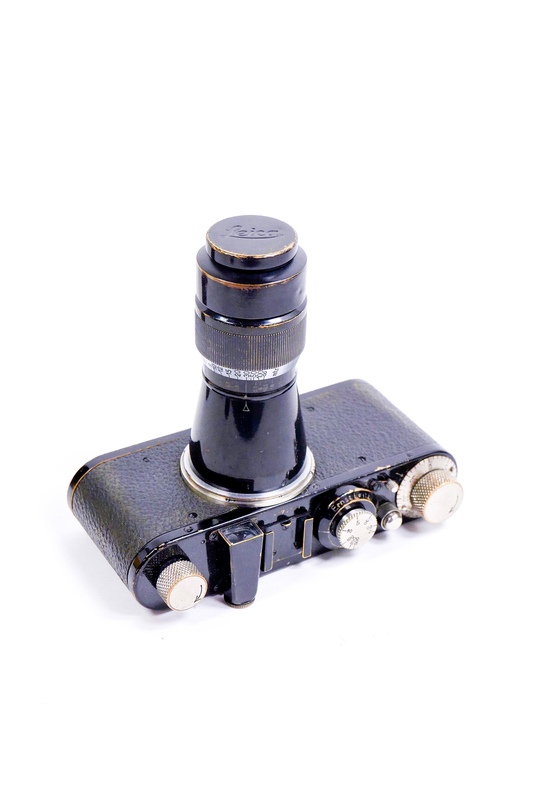 Early versions were made with nickel finish parts, and later copies were made with chromed parts. 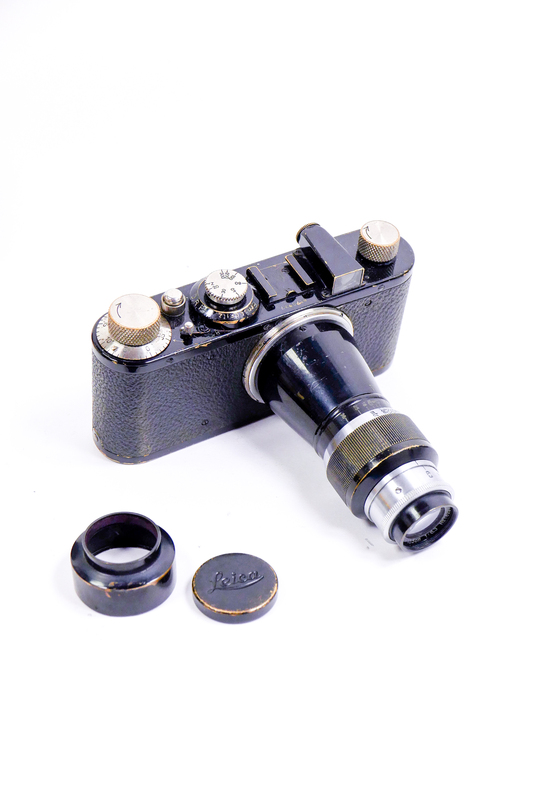 Either way, this little lens is the perfect addition to a Leica collector’s arsenal. 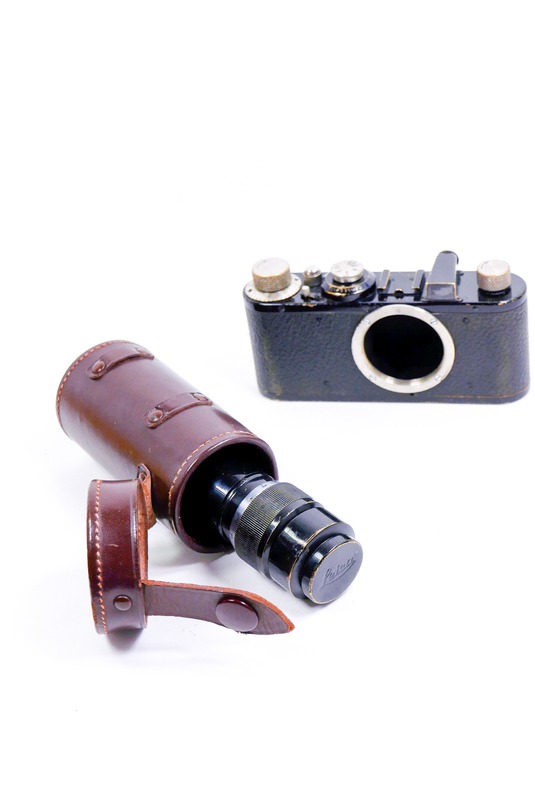 Interested in our Rare Camera Auction?